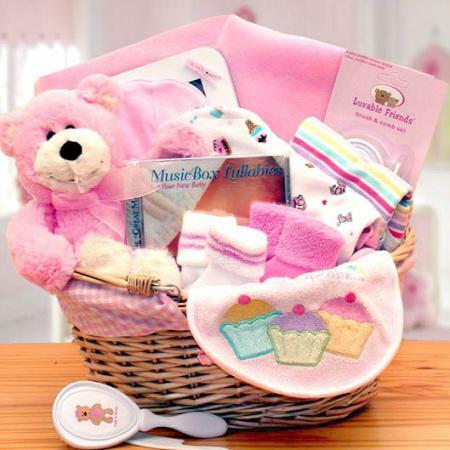 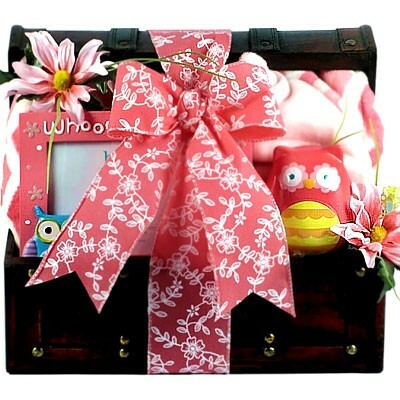 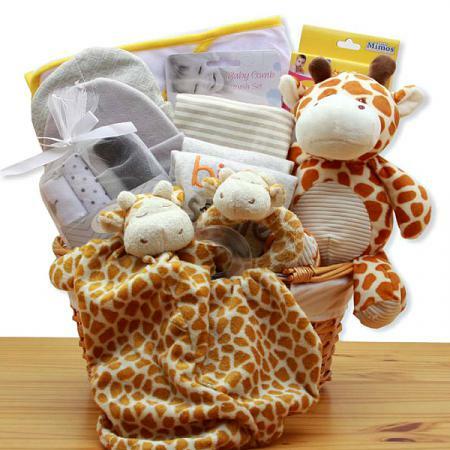 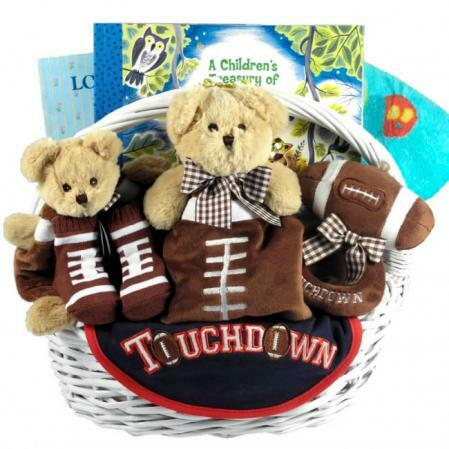 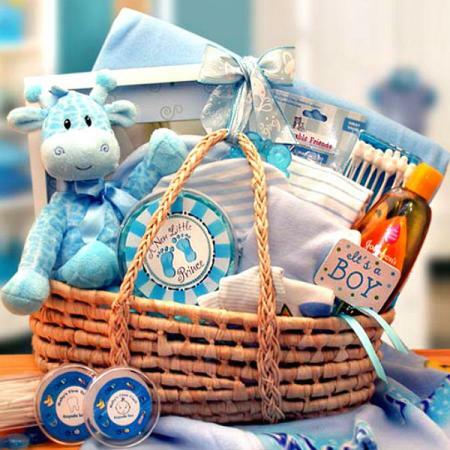 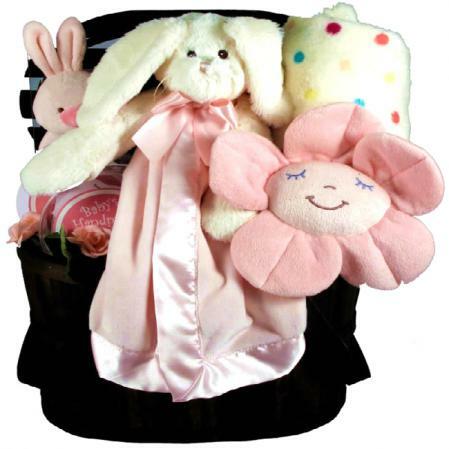 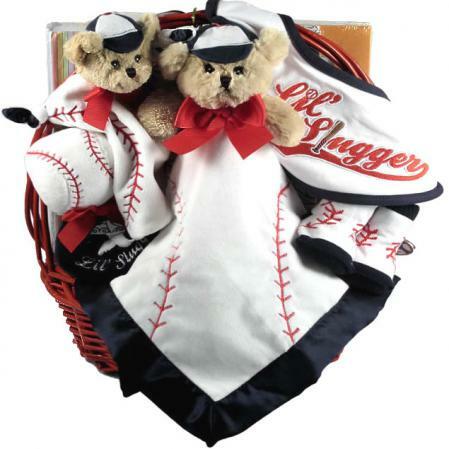 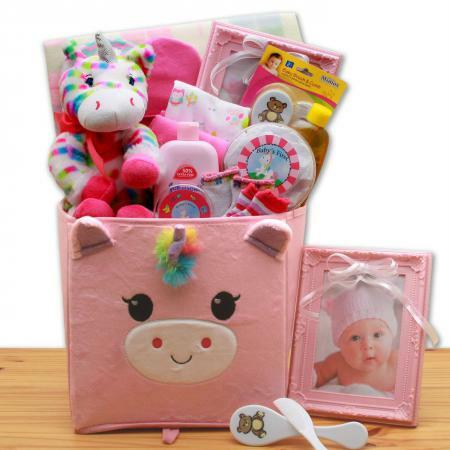 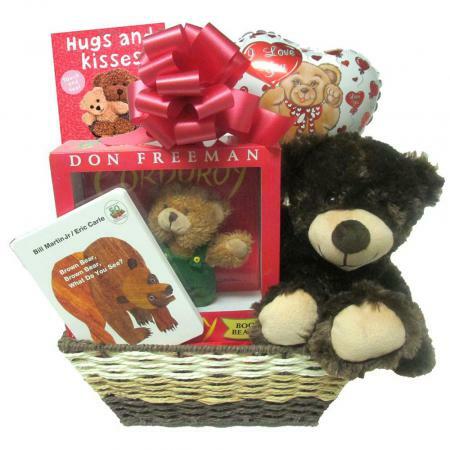 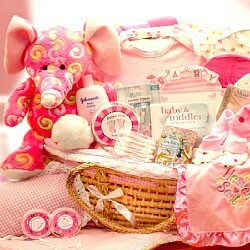 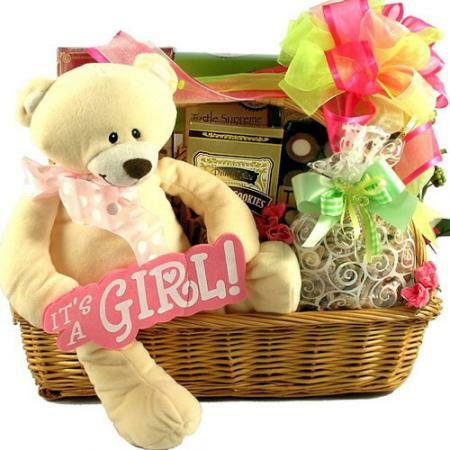 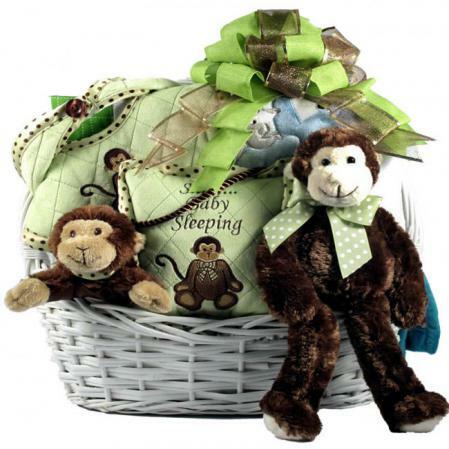 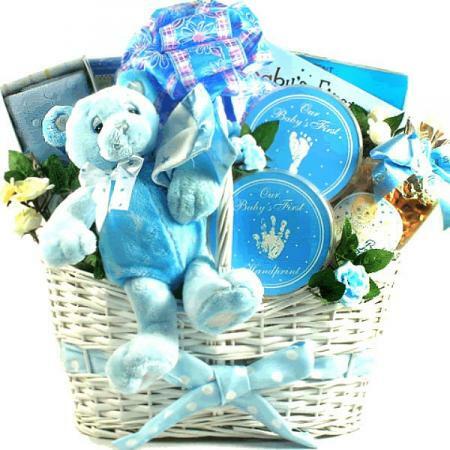 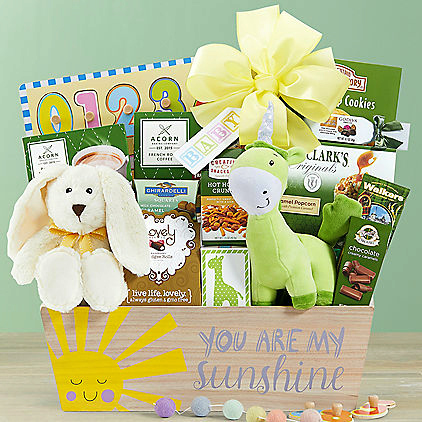 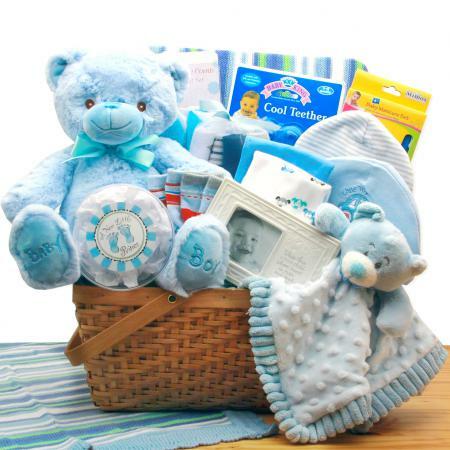 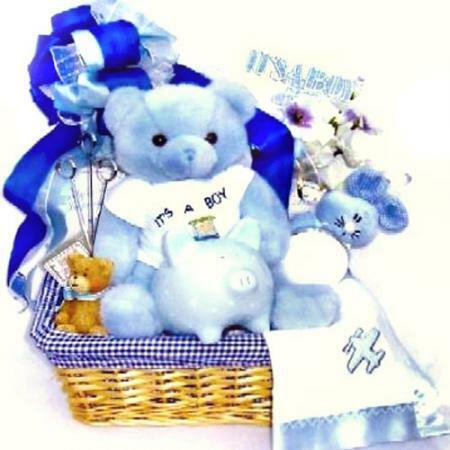 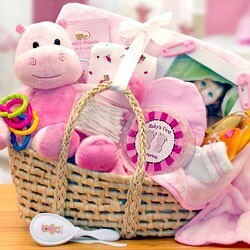 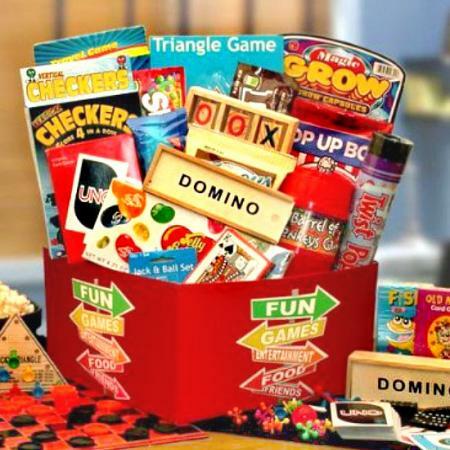 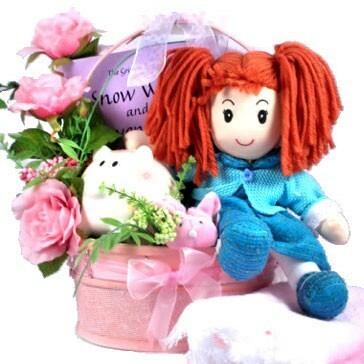 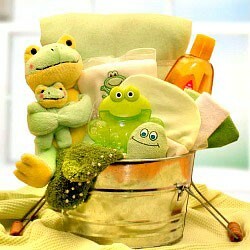 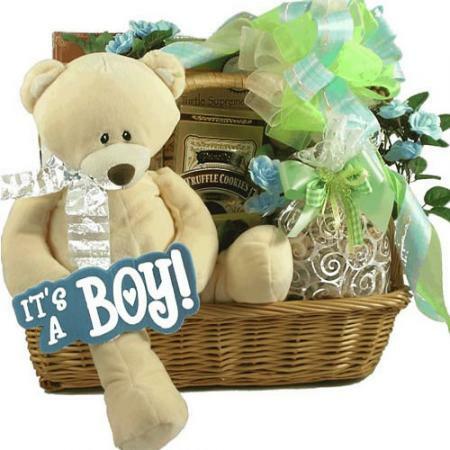 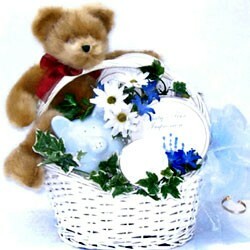 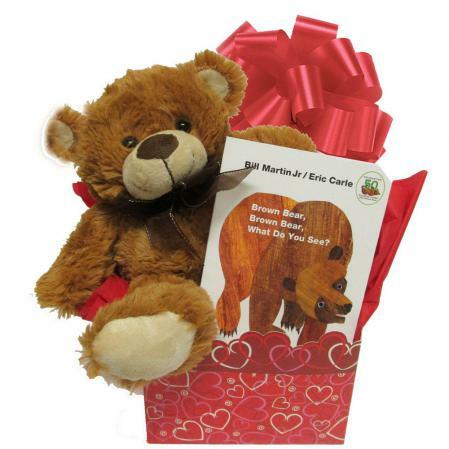 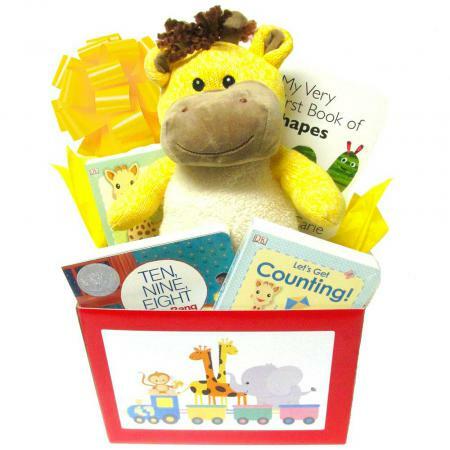 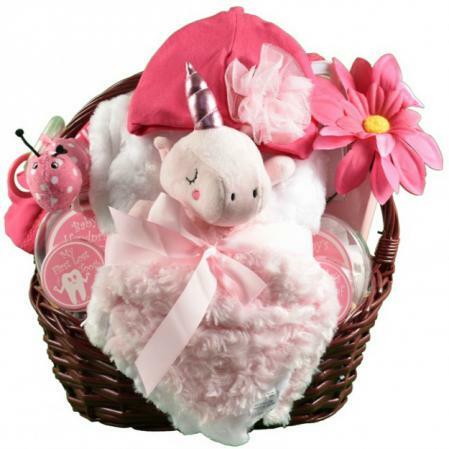 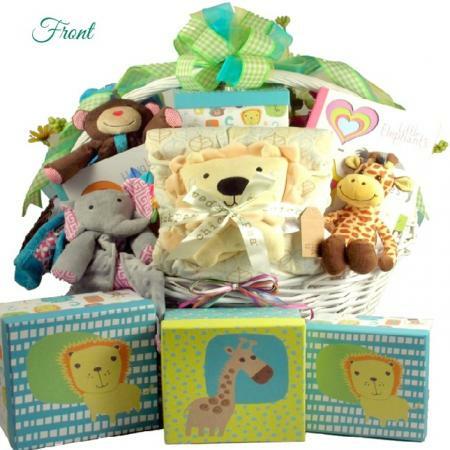 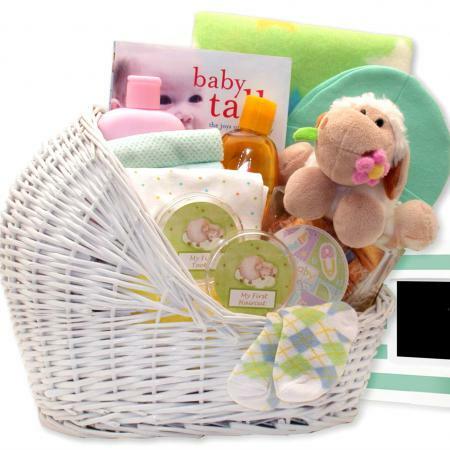 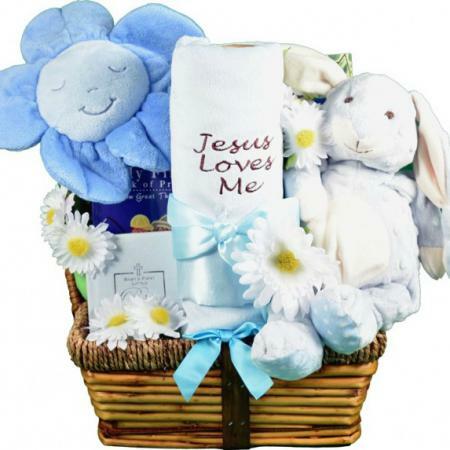 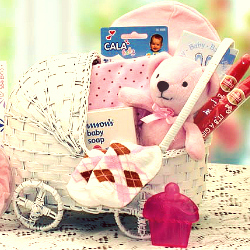 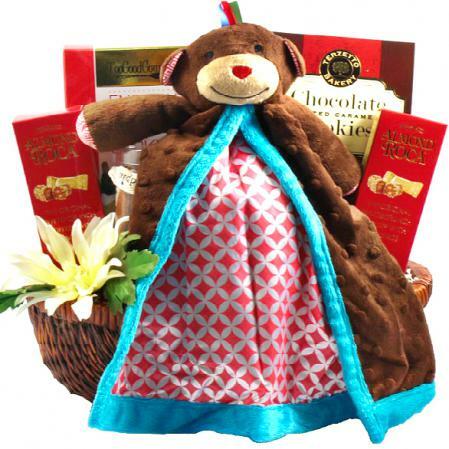 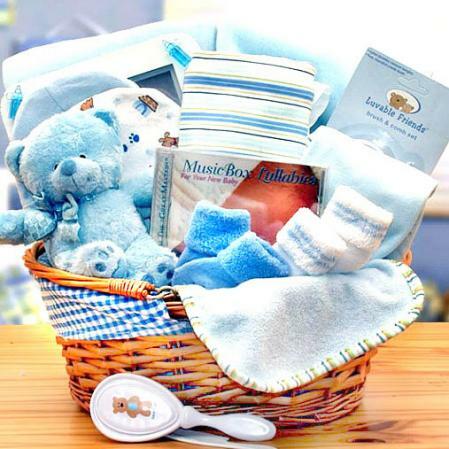 Deliver your good wishes to the precious newborn and parents with this large baby basket filled with loving gifts and keepsakes. 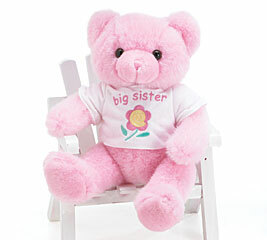 Available in pink or blue. 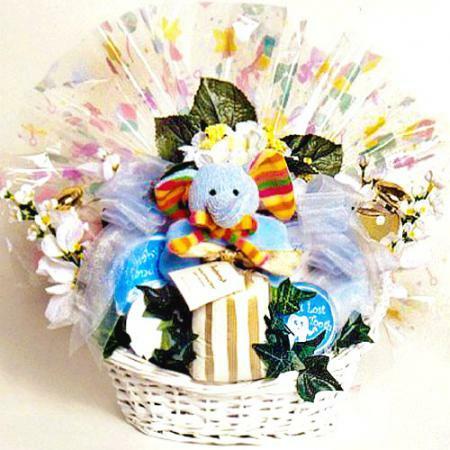 A treasure trove of delightful baby gifts fill this large fabric lined wicker gift basket/tray (all the rage for new babies these days) which can later be reused to neatly store bibs, diapers or other important baby items in the nursery. 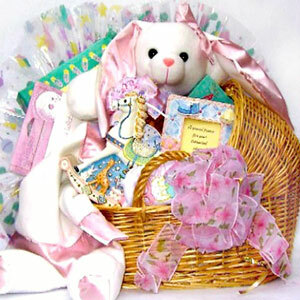 Our large baby basket arrives stylishly designed and filled with a beautiful 100% cotton baby blanket, very sweet plush teddy bear in pink or blue sporting a cute little tee that reads Itís A Boy or if in pink Itís A Girl, soft plush animal rattle, large ceramic bank for babyís college fund, baby book titled A Baby Is.., for Mom and Dad to read, filled with helpful tips and humorous quotes about new babies, baby bottle, very sweet Baby Dear keepsake photo album/scrapbook, a keepsake container for babyís first lost tooth, keepsake container for babyís first lock of hair, the very popular handprint molding kit and footprint molding kit which allows the parents to easily take molded impressions of their babies feet and hands and safely keep them in two wonderful dated keepsake containers. 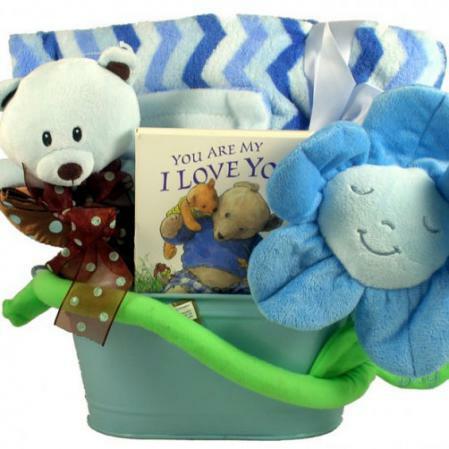 Just an incredible gift to help celebrate their new babies cherished first moments!